Kids can be mean. Your kids will experience bullying in some form or another. They will either see someone being bullied, hear about bullying in the media or be a victim of bullying. No parent wants to see their kids being bullied. But you can’t always be there to protect your kids from bullying. The best thing you can do for your child is to prepare them by educating them about why people bully and how to handle the situation. Bullying happens at school every day and our children are faced with aggressive behaviors that tries to attack their self-esteem. Bullying can take on many forms, physical attacks, emotional attacks and intimidation with insulting messages happens in real life and online. The serious consequences of bullying can lead to children experiencing depression, loneliness, anxiousness, low-esteem, and being absent from school. How can Aikido help your kids face bullying? Aikido not only helps a child build strong self-esteem, self-confidence, focus, and awareness, it provides them with self-defense skills to know that anti-social behavior is not acceptable. Your child will be prepared to walk away confidently from a confrontational situation or if necessary, be confident to know that he/she can control attacks from one or many attackers. Training at Aikido allows your child to not feel helpless. 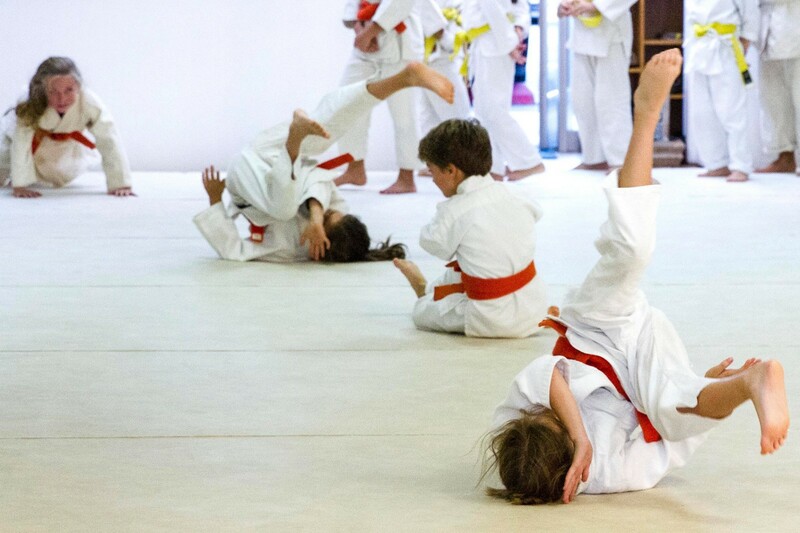 Aikido empowers your child to have the confidence to handle the situation. Size or strength is not important in aikido. 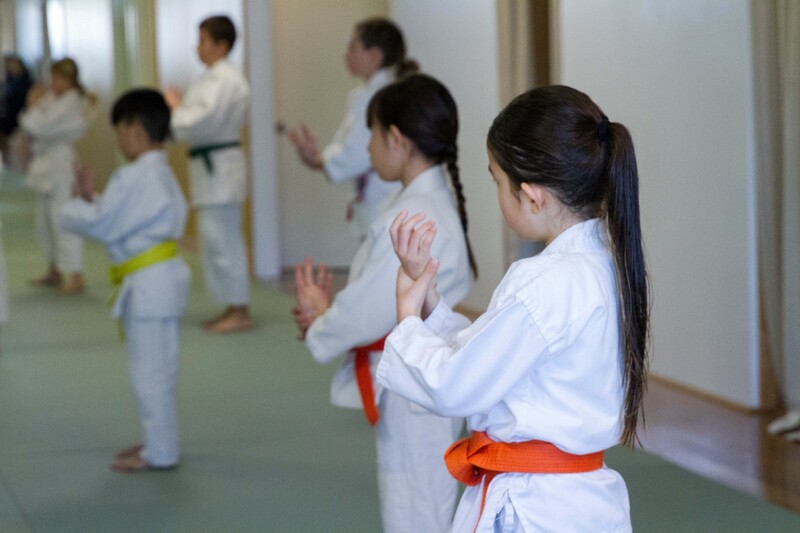 By practicing aikido daily, your child will learn the concepts of timing, distance, and direction. These concepts will enable your child to redirect an attack with little effort. Of course, all this requires practice. Smaller sized children have a unique opportunity because the attacker may think he/she has the upper hand. In aikido, putting the attacker off balance makes it easier to control and thus, size or strength is not required. Very few activities inspire self-discipline and self-confidence like aikido training. Children who practice martial arts are unlikely targets for bullies. The students learn how to handle stressful situations by staying calm, reacting more intelligently with a unique awareness, and have a strong level of confidence and control. Self-Defense skills, based upon principles of non-violence. Improved focus at school, leading to greater academic achievement. Physical conditioning, meaning more energy and better self-image. Greater self-confidence, lessening a child’s chances of being victimized by schoolyard bullies. 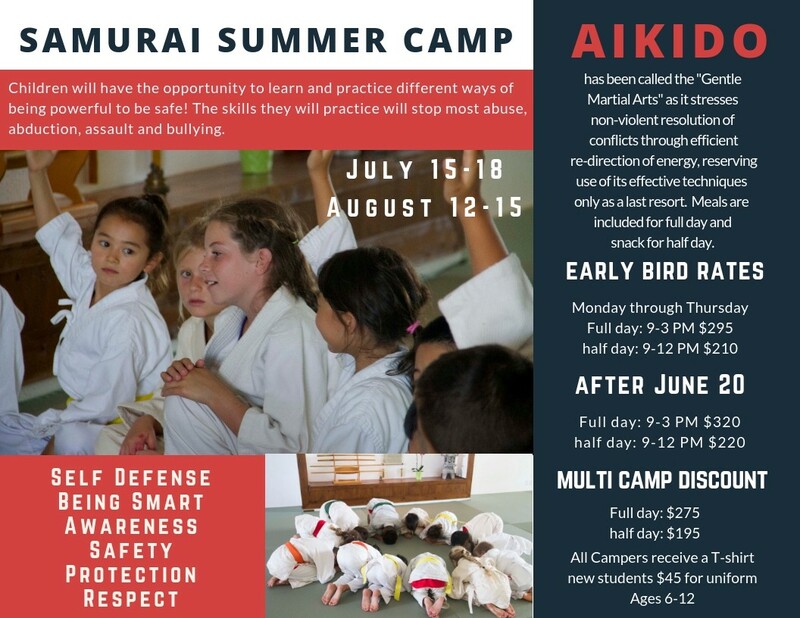 Learn more about aikido at Newport Beach Aikido and arm your child with skills to face bulllying at an early age.